Welcome to Choice Parenting LLC website. The website, and the information, content, and all work products and services are provided by Choice Parenting L.L.C. a New Jersey Limited Liability Company. By using this website and purchasing any digital downloads or consultations services from the Choice Parenting ecommerce store you, the user, certify that you have read, understand and agree to be bound by Choice Parenting L.L.C.’s ‘Terms and Conditions of Use’. 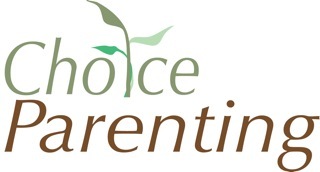 The term ‘Choice Parenting’ or ‘we’ refers to Choice Parent LLC. The term ‘you’, ‘your’ or ‘user’ refers to the user, viewer or customers of Choice Parenting’s website and ecommerce store. All website content, purchased digital documents, documents given as part of consultation, all consultation advice and recommendations are to be solely used as a general educational aid. These services are intended to coach and advise the user on the standard industry practices of the different types of childcare providers to help the user in their search to find the childcare that best matches their unique needs and parenting values. Childcare consulting is a thought-provoking process that inspires the user to make decisions regarding which childcare to hire based upon what is most important for you, your family and your own child(ren)’s well being. The user understands that Choice Parenting’s services and work products are not to be used as a substitute for professional and licensed advices and all recommendations provided by Choice Parenting should be weighed by user and discussed with a licensed professional in the field. The services provided by Choice Parenting do not include professional or licensed advice on: Immigration regulations and law, employment laws, taxation laws, licensed therapy or counseling, accounting service, legal services, medical services, or any background check and investigative services on childcare providers. The Choice Parenting does not guarantee performance of any childcare provider nor assume any affiliation, responsibility or liability for the action, unfitness, negligence, or unlawfulness of any childcare provider or placement agency. This includes but is not limited to: daycares, nursery schools, public or private pre-schools and schools, children’s educational classes or sports activity programs, household staffing agencies as well as any type of home employee (such as: nanny, housekeeper, baby nurse, doula, aupair). In no event will Choice Parenting be liable to the user for consequential or special damages. The user agrees to utilize these childcare consulting services and work products with the full understanding that Choice Parenting LLC and it’s employees and volunteers are in no way liable for the user’s decisions, actions and outcomes. The user also agrees to hold Choice Parenting LLC and it’s employees and volunteers free of all liability and responsibility for any adverse situations created as a direct or indirect result of a specific referral, advice given or any actions taken while working with or as a direct result of Choice Parenting LLC. Choice Parenting agrees not to disclose any personal information pertaining to the user without the user’s written consent or under the condition that we have removed your name and any other personally identifying information. The user agrees not to disclose, share or release Choice Parenting’s digital and/or hard copy work products that the user purchases from the Choice Parenting ecommerce store or receives as part of a consultation sessions. This website contains material which is owned by or licensed to Choice Parenting LLC. This material includes, but is not limited to, the design, layout, look, appearance and graphics. Reproduction is prohibited. Unauthorized use of this website may give rise to a claim for damages and/or be a criminal offence. Your use of this website and any dispute arising out of such use of the website is subject to the laws of the State of New Jersey.